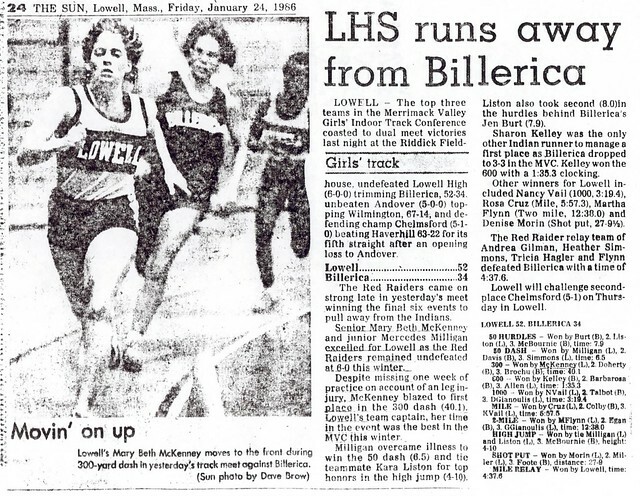 One of the premier pure sprinters in the history of the Lowell High School Girls Track program, Marybeth McKenney Donnelly earned honors at the local, state, and regional levels in a career that continued from Lowell High to the University of Massachusetts at Lowell. 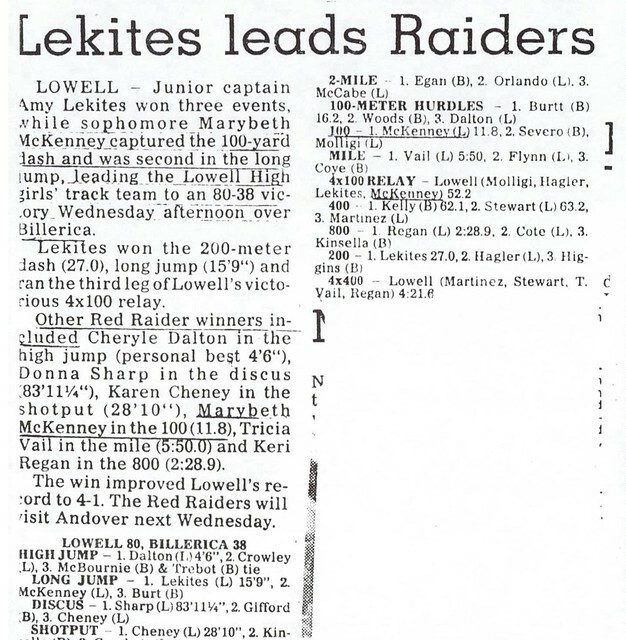 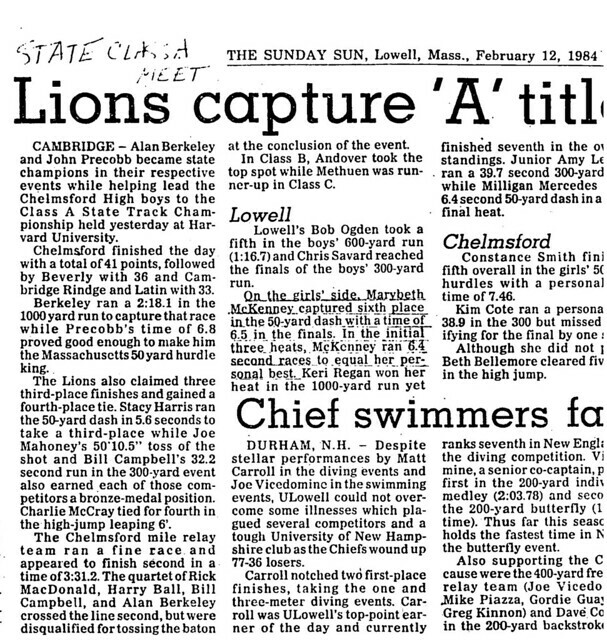 As a 4-year standout for the Red and Gray Girls Indoor Track team, Marybeth was an instrumental part of consecutive Merrimack Valley Conference team championships (1982–83 and 1983–84). 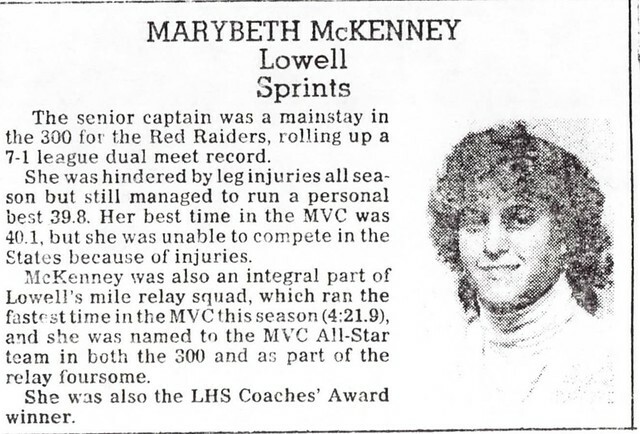 Marybeth earned MVC All-Conference honors in both 1984 and 1985 in the 4×440-yard relay and in 1986 in both the 4×440 relay and the 300-yard dash. 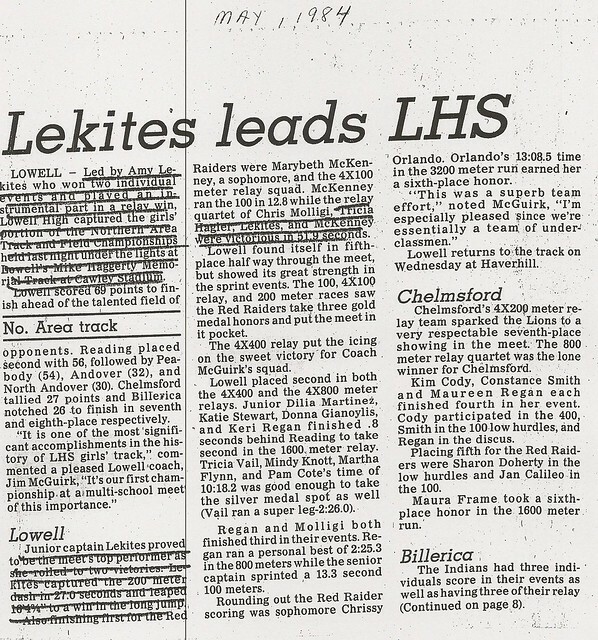 During her indoor career, Marybeth set Lowell High School records in the 50-yard dash and the 4×440-yard, 4×220-yard, and 4×50-yard shuttle dash relays. 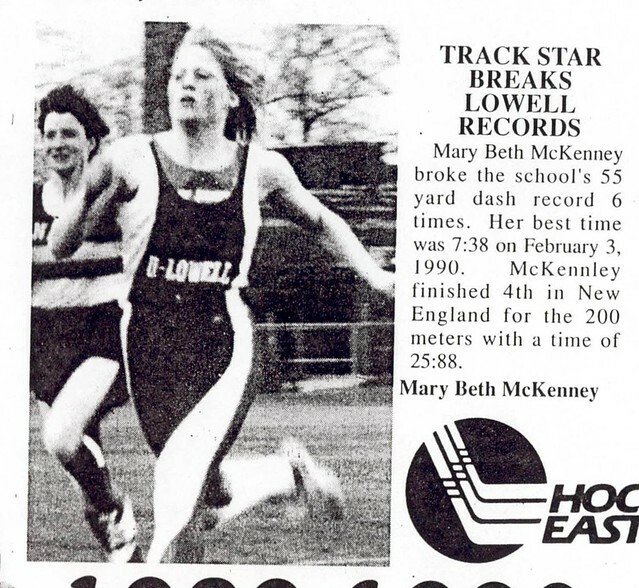 The highlight of her career was the winning of 2 Massachusetts State Championship medals in 1985 as part of the 4×200 and 4×50 shuttle relays (the latter in a Massachusetts High School State Record time that still stands 17 years later). 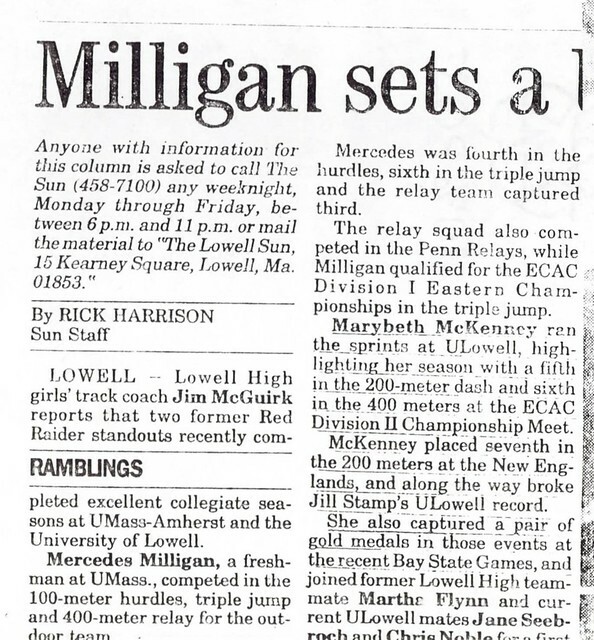 She also placed 5th in the 50-yd dash at the Massachusetts State Meet that year. 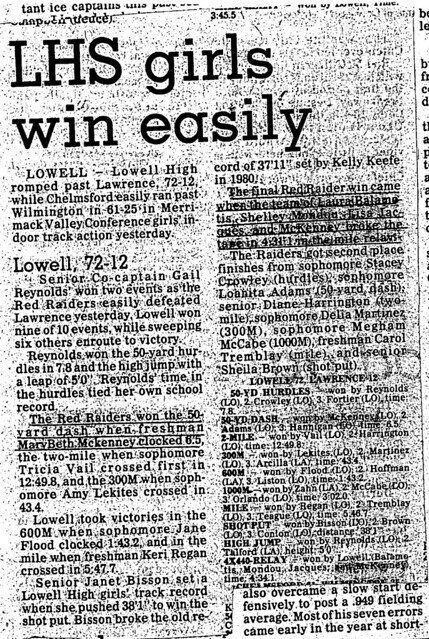 A team Captain and Lowell Sun All-Star in 1986, Marybeth saw her LHS teams compile an overall record of 28–3 during her tenure. 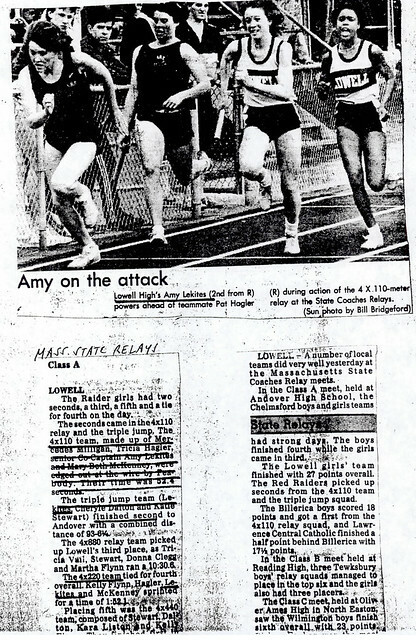 As a 4-year varsity performer on the Raiders Outdoor Track team, Marybeth continued her excellence. 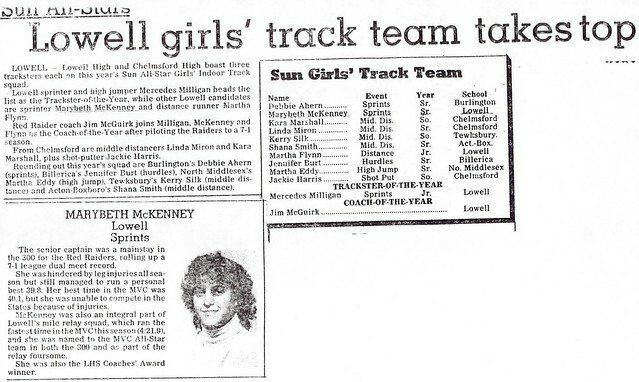 Her victories in the 100-meter dash and as a part of the 4×100-meter relay team helped lead Lowell to the Northern Area Sectional Championship in 1985. 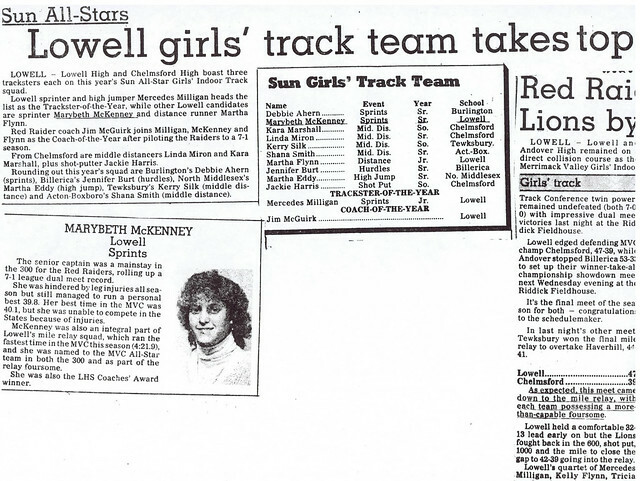 During her senior season (1986) Marybeth (LHS Captain and MVP and Lowell Sun and MVC All-Star) was a part of 2 school record-setting relay teams (4×100- and 4×220-meters). 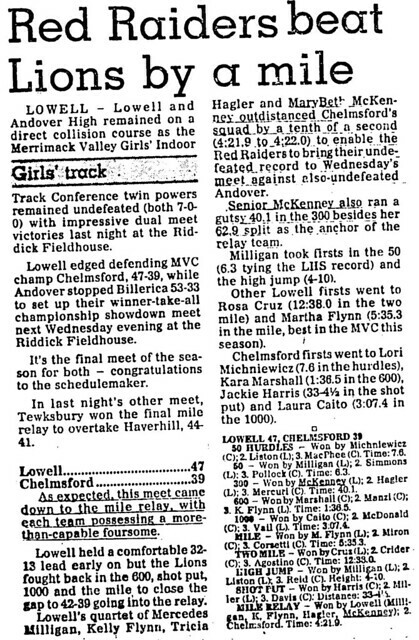 The 4×100­meter team placed 5th (top New England team) at the prestigious Glen Loucks Invitational in White Plains, NY, and 3rd at both the Massachusetts and New England Championships. 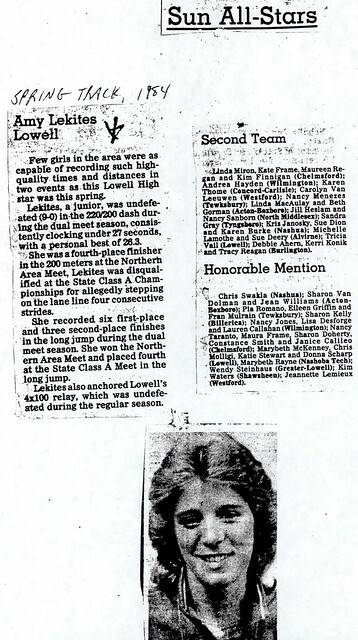 Individually, Marybeth placed 4th at the State Class A Championship in the 440-meter dash. 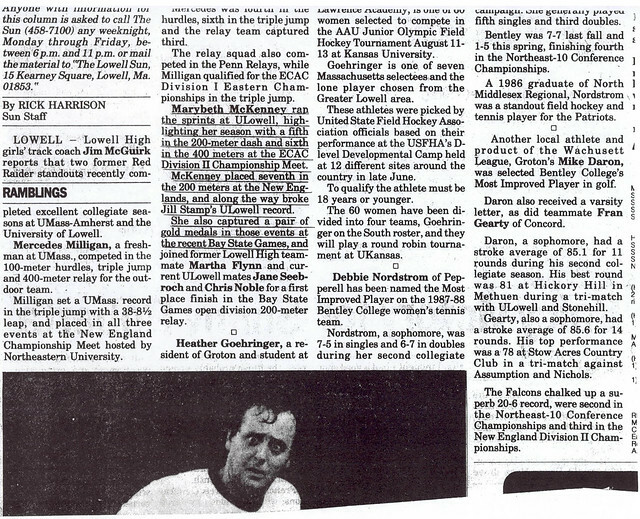 Marybeth developed into one of the outstanding sprinters in the history of the UMass at Lowell Track and Field program. 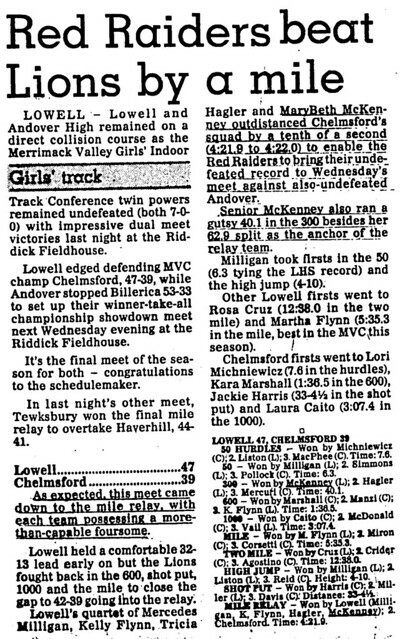 Marybeth won 8 UMass varsity letters. 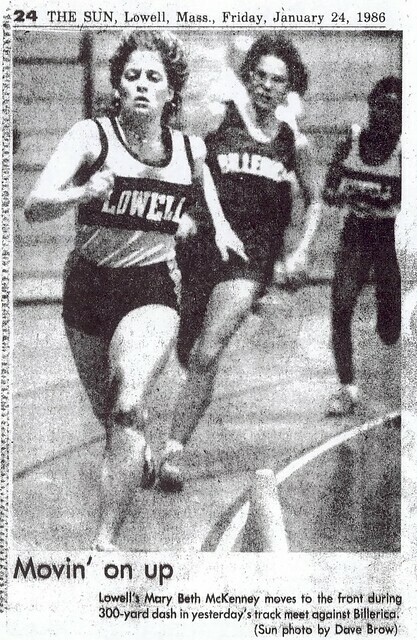 She was a three-time Captain (1988, 1989, and 1990) and was named the University’s Track Student-Athlete of the Year in 1990. 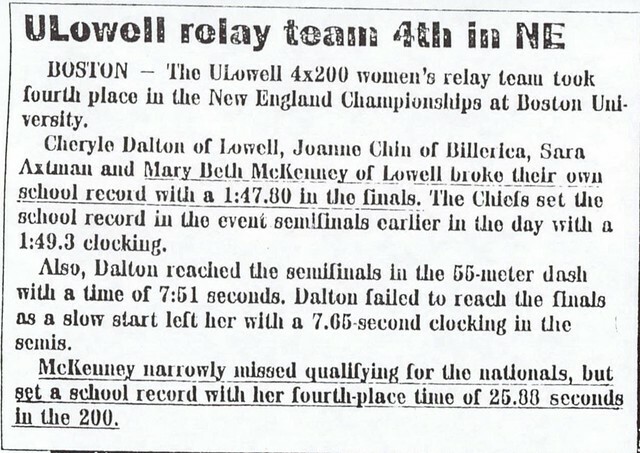 She set UMass at Lowell school records in the 55-meter and 220-meter dashes indoors and the 100-meter and 220-meter dashes outdoors. 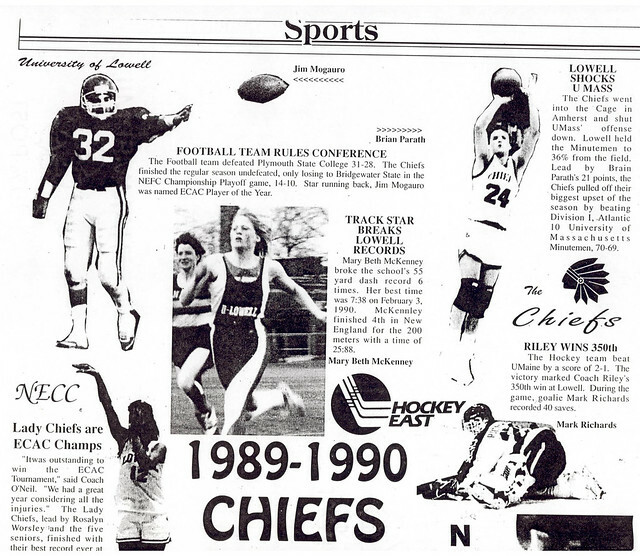 Marybeth dominated the all­time record lists for the Chiefs in all these events. 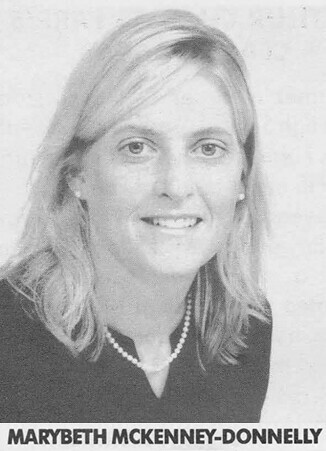 She was a 6-time All-New England and 4-time AII-ECAC (Eastern Collegiate Athletic Conference) selection. 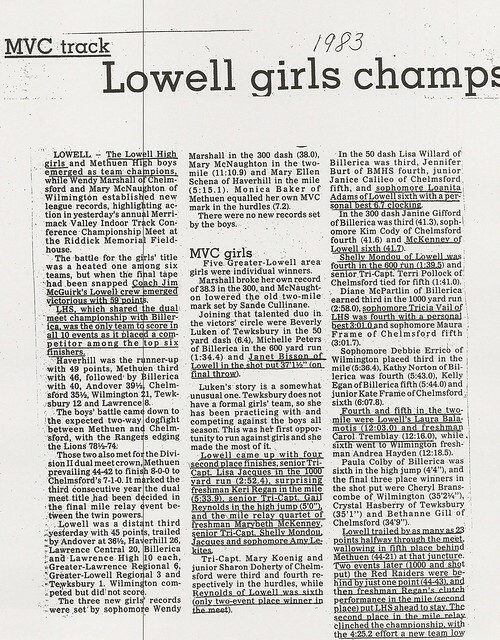 Marybeth has returned to Lowell High School as head coach of the Girls Cross-Country and Outdoor Track teams. 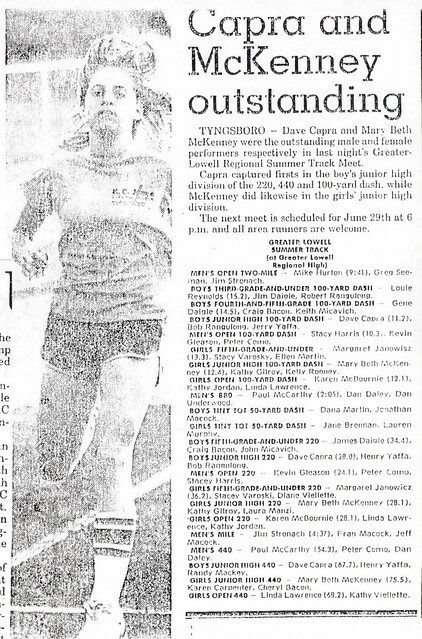 Her 2002 Cross-Country team won an MVC Championship.